From 17th to 19th of June 2017, the open-air museum Kizhi will hold the Festival of the Sacred Music "The Chiming Scores of Kizhi Island". The Festival dates coincide with the day of the Holy Jonah Klimenetskiy, the local saint. The fame of Kizhi chimers stretches far beyond the Island. The change-ringing at the chapel of Archangel Michael for tourists and regular chime at the churchyard during the services, compose the unique atmosphere of the island. The chiming has a long tradition in Russia, and at the earlier times, during the festive events, the sounds of bells were filling the air throughout the Zaonezhye area. The efforts to revive the sacred traditions of the chiming began already in 1988th, at that time the bell tower of Archangel Michael Chapel started to ring again. After 10 years, in 1998, the first festival was organized. Later, festivals were held in 2004 and 2016. The leading chimers of St. Petersburg, Velikiy Novgorod, Vologda, Moscow, and Rostov will come to take part in the festival this year. The individual performances will be prepared by the chimers from Petrozavodsk and Kizhi Island. The bell towers of the island will revive with sound for 3 days of the festival. The program includes the Scientific-Practical symposium "The Northern chiming in the context of the national bell tradition", where will be discussed such topics as: "The bells and chiming in the open-air museums"; "The bell ringing in the contemporary sound landscape";"The wooden bell chamber as a type of the column footing construction"; "The festivals and concerts of the bell ringing music"; "The Bells - the memorials of history and culture of the Foundry Art". 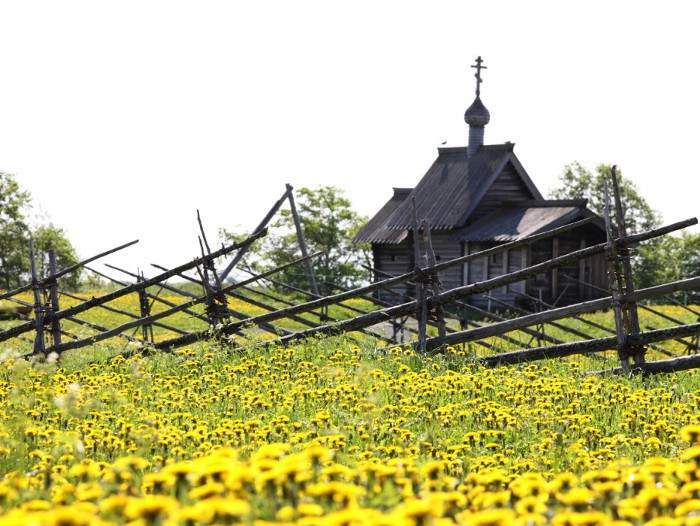 The main activities of the festival are scheduled for the 18th of June and will include the sightseeing tour with the staged scenes from the peasants' life, bell ringing concerts, crafts workshops and fair of local products.